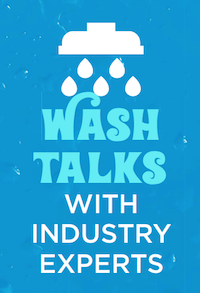 Entries are pouring in for our 15-minute Wash Talks taking place at Splash! in New Orleans. Have you entered yours yet? Members of the operator and supplier community are giving us some great topic ideas so far. Make sure you enter your topic, and vote for your favorites, before the call for topics closes on Aug. 11. And don't forget to register to join us in New Orleans Oct. 24 - 25. 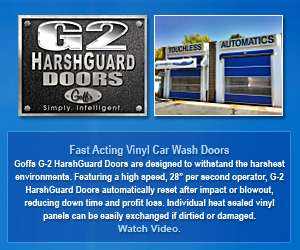 Visit http://www.carwash.org/splashwashtalks?utm_source=CW%20News to view the full article online. Who’s winning the fight for the best in-car technology? There was a time when buyers measured the appeal of a vehicle based on such things as styling, performance or the availability of features like power windows and leather seats. But these days, shoppers are seeking out the vehicles that offer the most seamless and powerful digital technologies. 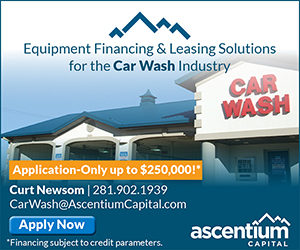 Visit http://www.nbcnews.com/business/autos/who-s-winning-fight-best-car-technology-n784041 to view the full article online. A new wave of venture capital focused on the car technology sector is sweeping across Silicon Valley, with $220 million in new funding announced this month by two separate groups, the Toyota Research Institute and AutoTech Ventures. Visit https://www.ft.com/content/8ec8079c-66a6-11e7-8526-7b38dcaef614 to view the full article online. Federal regulators have approved a big swath of new airwaves for vehicle radar devices, opening the door to cheaper, more precise sensors that may accelerate the arrival of high-tech, next-generation cars. Visit https://www.washingtonpost.com/news/innovations/wp/2017/07/13/next-gen-car-technology-just-got-another-big-upgrade to view the full article online. Johnny’s Car Wash opened in 1957 and has been making cars sparkle in Sarasota ever since. 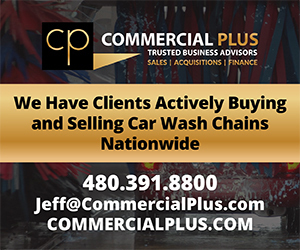 Though Johnny’s ownership has changed and washing techniques have improved, the sight of workers hand-washing your car with water at their feet has stayed the same. Visit https://www.sarasotamagazine.com/articles/2017/7/12/johnnys-car-wash-60-years to view the full article online. If he wanted to, the tenant in the apartment above the car wash at Dalton Convenience in Dalton, Penn., could walk downstairs to buy lottery tickets, snacks and soft drinks, then launder his clothes and put his car through the wash.
Visit http://www.theabingtonjournal.com/sports/local-sports/29564/dalton-business-is-a-convenience-store-a-laundromat-and-a-car-wash to view the full article online. Construction of a state-of-the-art car wash has started in the Brandt Crossing development in south Fargo, N.D. Sarah Griesbach with Property Resources Group says that Custom Express Car Wash will provide a technologically advanced cleaning system, minimal wait times and a beautiful structure to compliment nearby businesses. 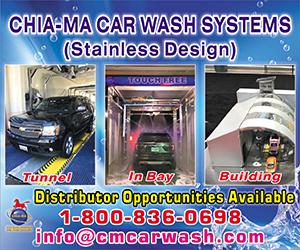 The specialized equipment, acquired from Tommy Car Wash Systems, will accommodate washing 150 cars per hour. 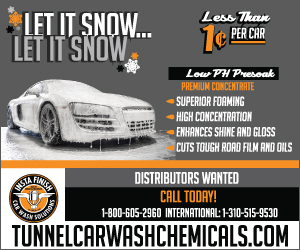 Visit http://www.valleynewslive.com/content/news/Custom-Express-car-wash-coming-to-south-Fargo--434999353.html to view the full article online. The film "Moneyball" (and book by Michael Lewis) really made me think about my own hiring strategies, and more specifically, how I was organizing different departments and recruiting for certain roles. Let's explore how I applied these same principles to my business, and walk through five rules essential to success when employing the "Moneyball strategy." Visit https://www.inc.com/bryan-adams/why-im-building-my-business-the-same-way-brad-pitt.html to view the full article online. I’ve been an entrepreneur for quite some years now, and I’ve learned that the single most important and satisfying thing you can do as an entrepreneur is to offer help to others. Visit https://www.entrepreneur.com/article/296761 to view the full article online. As content marketing becomes an increasingly dominant method of attracting new business for companies, the challenge to create regular, professional-quality content is growing as well. Luckily, the content marketing trend has also spurred an era of innovation, characterized by new tools, updated procedures and less expensive support to create a world of opportunities for even the youngest companies. Visit http://www.post-gazette.com/business/pittsburgh-company-news/2017/07/18/How-small-businesses-can-capitalize-on-growing-content-marketing-trend/stories/201707180004 to view the full article online. Amazon's recently announced acquisition of Whole Foods underscores a couple of things: No. 1, convenience retailers really do need to learn how to operate at an Amazon-like "fast clock speed," as the Norwegian retailing expert Jacob Schram puts it in his new book "Business Essentials;" No. 2, it’s equally essential for convenience retailers to stay grounded in the face of all this disruption so that they don’t ever lose sight of their core business. 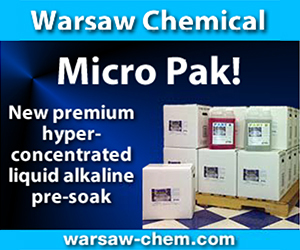 Visit http://www.csnews.com/industry-news-and-trends/technology/maintaining-perspective-age-amazon to view the full article online.